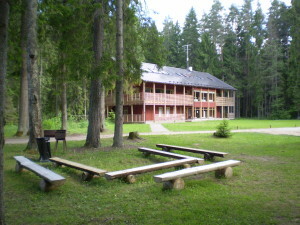 The trip kicks off from Taevaskoja Holiday Centre. The participants will be introduced to their sleds and receive basic instructions. After which you will head off towards the Ahja river nature reserve. You will pass many interesting sights along the way. You will visit the filming locations of the Last Relic movie in the Ahja River valley nature reserve, the Suur and Väike Taevaskoda and various other beautiful places. Along the route the trip guide will tell you interesting stories about wildlife and what makes the Taevaskojad (Heaven’s Halls) so special. With any luck you will encounter interesting birds and animal trails on the route. The kicksled is very easy to master. The pace for the trip is very relaxed and breaks will be held every 10-15 minutes. The route is a total of 8 kilometres long and takes approximately two hours. 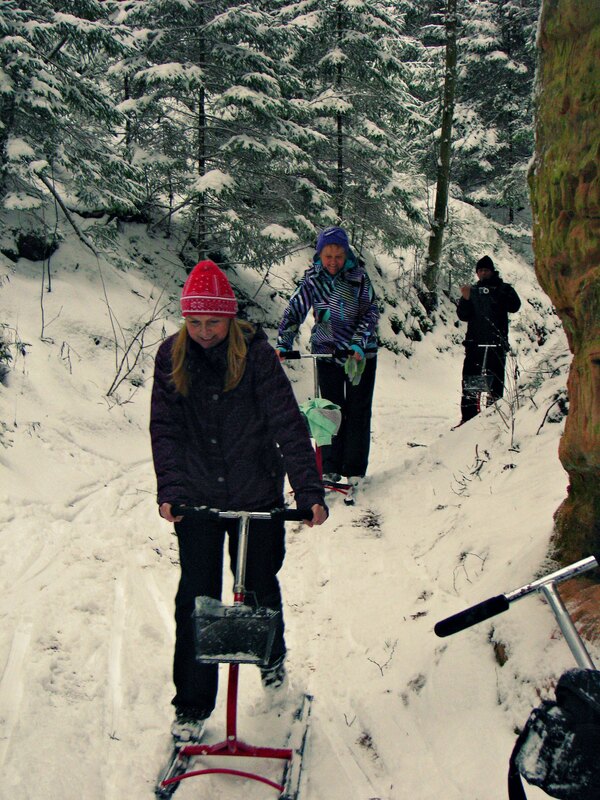 The kicksled trip is suitable for children from nine years of age. Unfortunately the kicksled is simply too big for younger children. If the two hour trip seems too long for the children, then shorter routes are also available. NB! If the weather conditions are suitable, ask for a kicksled trip on the frozen artificial lake! On the artificial lake you will see many breathtaking sights, signs of beaver activities and several magnificent sandstone cliffs. How much does kicksled rental cost? 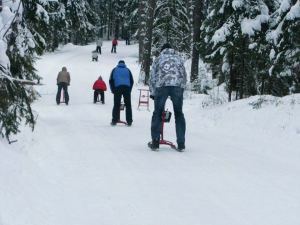 The Taevaskoja Holiday Centre rents out its kicksleds on their own or with a tour guide. 20€ for adults and 15€ for students. Kicksled rental without a tour guide is 5€. Minimum group size is 10 people. 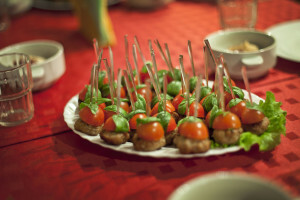 For groups of 35 people and more we offer very tempting discounts! 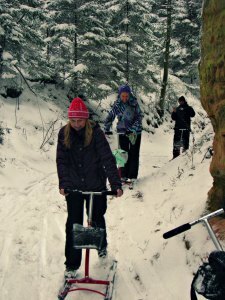 The guided tour includes a tour guide and kicksled rental. It is possible to get Hiking meal on the Go. Of course you can stay a night.